Both genders are affected by strokes, but the symptoms manifest in different ways. Risk factors and symptoms are gender-specific, and people susceptible to strokes need to know what to watch out for. Here are some of the most common risk factors and signs of strokes in men and women. There are many risk factors both genders have in common. These include diabetes, smoking, and poor dietary habits. Smoking damages the cardiovascular system due to the carbon monoxide and nicotine chemicals found in cigarettes. As diabetes is linked to high cholesterol and high blood pressure, it can also pave the way for strokes to occur. Dietary habits are also an essential risk factor. Foods containing trans fat, cholesterol, and saturated fat make strokes more likely. Both men and women need to watch out for these risk factors to minimize their chance of a stroke. Seniors can face a variety of challenges as they age, many of which can be mitigated with the help of professional in-home caregivers who provide high-quality home care. 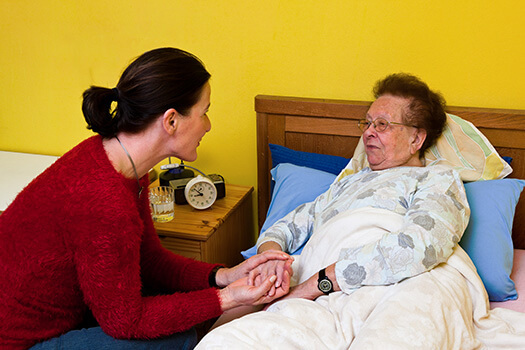 Oshkosh families trust in Home Care Assistance to help their elderly loved ones age in place safely and comfortably. For women, elevated estrogen levels can also be a cause for concern. There are several medications and conditions that can raise estrogen levels in the body, like hormone replacement therapy, birth control pills, and pregnancy. Estrogen is also a coagulant, which means it can cause blood clots when there’s too much of it in the body. There are several stroke signs women should look out for. Pre-stroke, women may be affected by behavioral changes, hallucinations, or hiccups. They may feel nauseous, agitated, or lose consciousness. Seizures are another common symptom, and they’re often accompanied by dizziness and sudden headaches. Most people are familiar with the genetic and lifestyle-based risk factors for strokes. For men, some risk factors are geographic in nature. Men who live in the Southeastern states like the Carolinas, Georgia, Alabama, and Mississippi are at greater risk for strokes. The reasons behind this correlation are unclear, but some scientists believe it’s due to local diets. Many of these states specialize in high-fat foods that increase cholesterol levels, clog the arteries, and leave men at risk for strokes. If your aging loved one is managing a serious illness and needs help accomplishing everyday tasks, consider hiring a caregiver. Some seniors need occasional assistance at home, and oftentimes the family members who take care of them need time away to run errands, take a nap, go to work, or take a vacation. Oshkosh, WI, respite care experts from Home Care Assistance are available on an as-needed basis, giving your family peace of mind that your loved one will remain safe and comfortable while you relax or focus on other important responsibilities. Signs of strokes in men tend to be more commonly known than those for women. One of the most common signs is arm weakness. Worried caregivers should ask the senior to raise his arms and check whether one arm drifts downward of its own volition. Another common sign is sudden difficulty with speech. This could manifest itself via slurred words or an inability to repeat simple phrases. To check your senior loved one’s speech abilities, ask him to repeat a short sentence. If he can’t, it may be a sign of stroke. Face drooping is the third common sign of stroke in men. Face numbness or drooping usually affects one side of the face. Caregivers should ask the senior to smile. If the smile is lopsided, he may be having a stroke. When caregivers notice male or female seniors exhibiting the above symptoms, they shouldn’t hesitate to call 911. Recovering from a stroke, managing the symptoms of Alzheimer’s, and a variety of other health-related situations can make it difficult for a senior to continue living at home without someone there to help. Oshkosh, WI, live-in home care professionals are trained to help seniors who need 24/7 assistance. With the help of a live-in caregiver, your elderly loved one can maintain a higher quality of life while aging in place. Call Home Care Assistance at (920) 710-2273 to hire a dedicated caregiver for your elderly loved one.